BC Bud Depot - Girl Scout Cookies. Free US delivery. 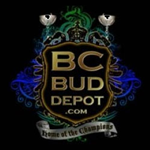 When 2 full boxes of Girl Scout Cookies arrived in British Columbia, BC Bud Depot knew what to do. The clone was fast becoming a legend - a potent mix of an OG Kush x Durban Poison x Cherry Kush mother backcrossed with a prime-looking OG Kush father created possibly one of the best Northern California strains of all time. After dedicating a number of mothers, BCBD immediately started growing these out to reverse and create the first feminized (S1) Girl Scout Cookies seeds released to the world. Fast becoming a BC Bud Depot favorite, the Girl Scout Cookies are excellent for medical use, particularly is the areas of anxiety, depression, pain relief and inflammation. Winner of Best Hybrid at the 2013 Los Angeles Medical Cannabis Cup! 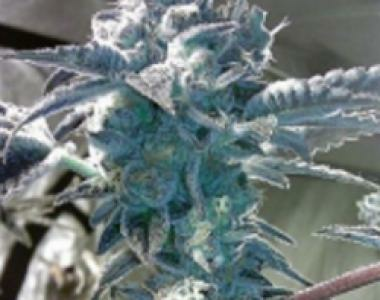 The regular seed version was bred using an Animal Cookies father before backcrossing.